While driving home from my real estate office at the Denver Tech Center after showing homes in Evergreen all day, I experienced an overwhelming sense of peace and tranquility. As I crested the ridge over looking the Pradera Golf Club, it occurred to me how unique this Pradera real estate community of luxury homes truly is. A few days ago, I had the joy of spotting a large buck as it crossed Crow Foot Valley Road leading up to Pradera. Last week a fox dashed across Pradera Parkway and into a group of scrub oak bushes. 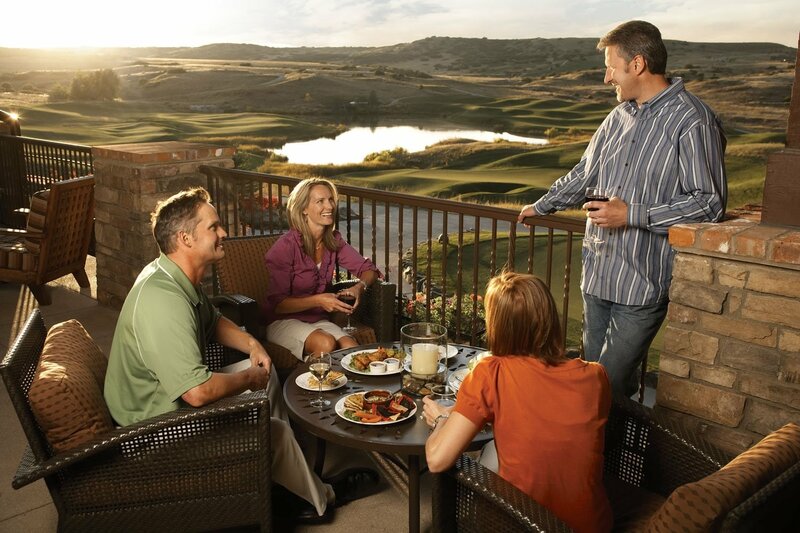 Pradera has so many unique attributes to offer for not just the golf club and sport members, but also the residents. Mere minutes from the Denver Tech Center, Pradera offers a special combination of a serene golf club community surrounded by a secluded valley. The Pradera Clubhouse for the golf club is focus for social activities too. Situated between Castle Rock and Parker, I enjoy the Pradera Country Club and Clubhouse as they are without pretense and offer year-round activities. The relaxed atmosphere and Colorado casual feeling lends itself to active participation in the numerous weekly events. My wife Pam and I enjoy the social events which include wine tasting, holiday events, social mixers, family movie nights, poker parties, special dinners, varying seminars and so much more. It’s a perfect neighborhood for us Denver Realtors to live and play. The casual bar and grill are perfect for us to drop in on the spur of the moment. The formal dining room is also available for special occasions such as business gatherings, weddings, etc. Part of our daughter’s fall wedding activities may very well take place in the dining room or out on the spacious balcony overlooking the golf course, Pradera Valley and a gorgeous sunset. We also appreciate the convenience of the complete fitness center which has state-of-the-art equipment, TV’s with headphones, weights, treadmills, elliptical equipment and inspiring views of the golf course. Like the clubhouse, the fitness center is open from 5:00 a.m. to 9 p.m. This is fantastic when my schedule does not allow me to get to my athletic club in the Denver Tech Center. There is now no excuse for me not to schedule a daily workout. Two tennis courts are adjacent to the clubhouse. Numerous league events and tournaments are annually scheduled for this facility. I do not play tennis, but it is there for those who do. The golf course itself is designed by award-winning and renowned, Jim Engh, a resident of Pradera. World recognized, Jim is presently designing courses in China. 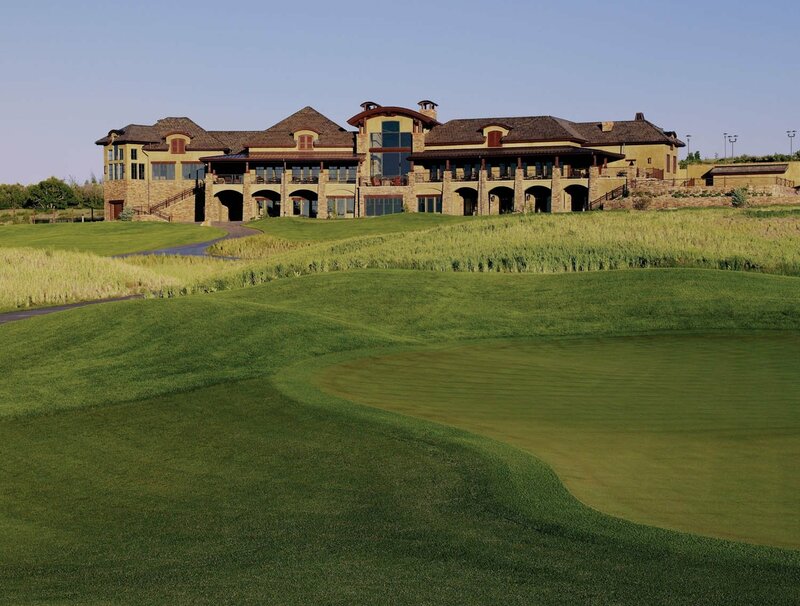 Pradera was designed to combine traditional Irish with a Colorado setting. 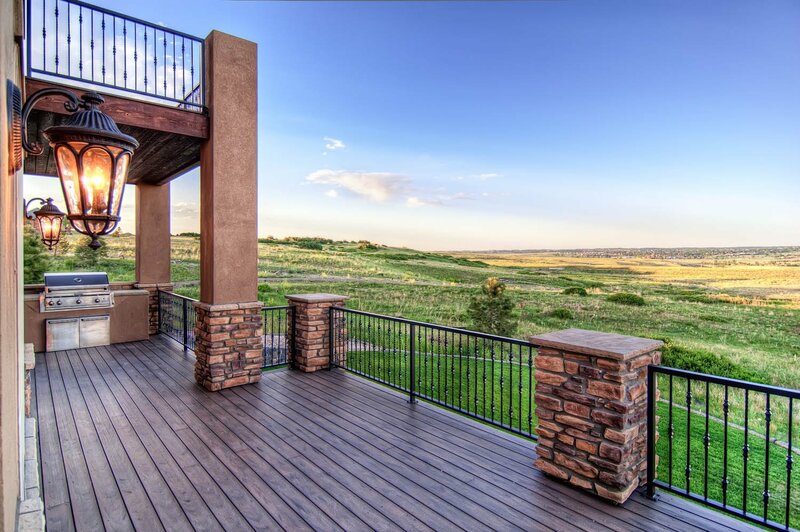 Many luxury homes have decks overlooking the golf course or open space at Pradera. The course blends in with nature’s design of the terrain. Many holes required little modification to the land for a more natural setting. Players at every level are able to challenge themselves with a unique design and combination of multiple tee boxes. Living in Pradera has proven to be a far greater experience then Pam and I ever envisioned. We look forward to many years of future enjoyment in this island of seclusion just minutes from the Denver Tech Center. Do you want ti know more about Pradera. I can send you information about Pradera real estate or the private Golf Club. Just let me know what you like below.